I feel like so many of my posts begin with 'Amelia Liana made me do it', but here's another one. 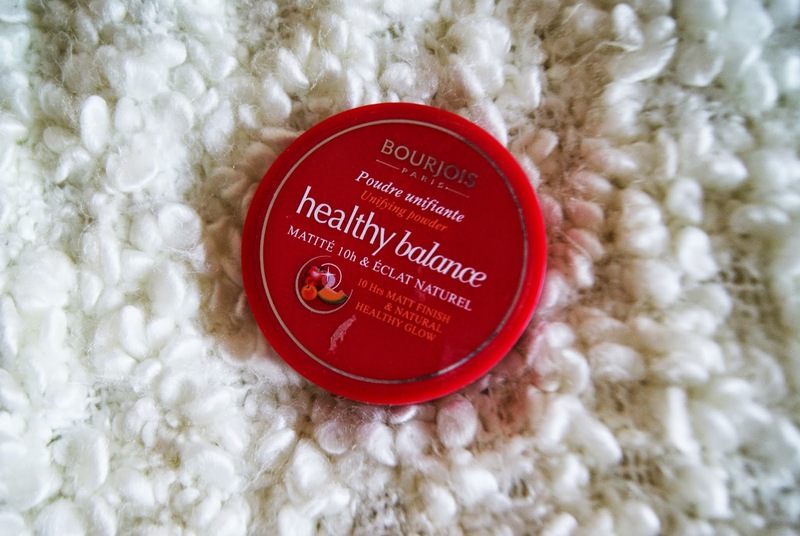 After seeing her rave about the Bourjois Healthy Balance powder it had to be mine. I have had mine for a good 10 months now, and have only just fallen in love with it - what took me so long?! I bought this in the shade 52 Vanille, and was a bit sceptical about how much more coverage it would add and whether it would be cakey. However, the powder is so finely milled that I just sweep my brush in the pan and press onto my skin to give it a really natural finish. It is definitely mattifying, but probably not as much as the Rimmel Stay Matte powder, although I quite like a bit of glow still coming through. I also like how this evens out everything, as I have been favouring a lighter base recently (more on that very soon! ), and I definitely agree with the statement that it gives a 'natural, healthy glow'. In terms of making my makeup stay on longer, I haven't noticed a huge difference in comparison to any of my other powders, but it definitely does the job. However, my normal skin is perhaps not the best judge of lasting power! I would really recommend this if you're on the lookout for a new powder, and at £8.99, it's purse friendly too! Have you tried any of the Bourjois 'Healthy' range?